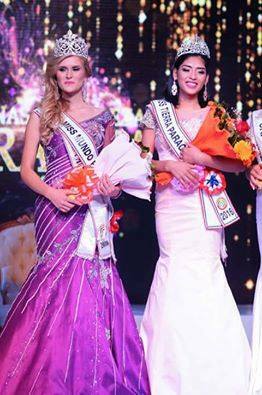 Miss World (Mundo) Paraguay 2016 is Simone Freitag while Miss Earth ( Tierra) Paraguay 2016 is Vanessa Ramirez. Simone Freitag was crowned as Miss Mundo Paraguay 2016 at the finale of Reina de Belleza del Paraguay 2016 last August 6, 2016 in Encarnacion, Paraguay. 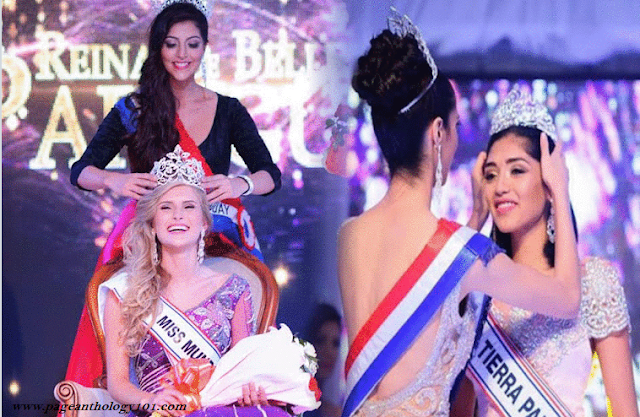 Simone Freitag succeeded Giovanna Cordeiro, Miss World Paraguay 2015 and will represent the central South American country in this year's edition of Miss World in Washington DC, USA. At the same gala, Vanessa Ramirez of Aregua, was crowned Miss Earth Paraguay and will represent her country at Miss Earth 2016 in the Philippines.